At Cooper Electric when it comes to Safety, we walk the walk! We constantly re-evaluate our Safety Policies and Personal Protective Equipment, making improvements that help us to meet the challenges of the electrical industry. We are NFPA 70E Compliant, and if your business is not, we have the expertise to help you get there. 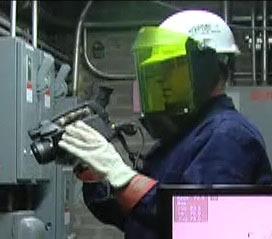 Cooper Electric Electricians are trained on Arc Flash and NFPA 70E best work practices and our company policies are in place to keep a safe work environment and abide by safety regulations. **For Level 4 we also have "bee keeper suits" which are rated for level 4 applications. An Arc Flash- is defined as a flashover of electric current through the air from one exposed conductor to another or to ground in an electrical system. Electric arcs produce intense heat, sound blast and pressure waves. They have extremely high temperatures, radiate intense heat, and can ignite clothing and cause severe burns that can be fatal. 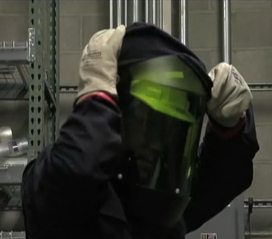 Facilities must have an arc flash survey completed on their electrical equipment to comply with Occupational Safety and Health Administration (OSHA) and National Fire Protection Association (NFPA) requirements for protecting employees against arc flash injuries. NEC Article 110.16 requires that electrical equipment such as switchboards, panel boards, industrial control panels, meter socket enclosures and motor control centers shall be field marked to warn qualified persons of potential electric arc flash hazards. Field Data Collection of the facilities existing electrical equipment and layout. One line drawings of the electrical systems and drawings of panel layout. OSHA/NFPA labels for each electrical device. Consultation to review the report, answer any questions and discuss recommendations to reduce personal protective equipment requirements. Proper Training for the facilities personnel.